Do you need a little encouragement during training? Then small group is the way to go. When you start training, you become part of the Saint Fitness Family. Having a support group enables individuals to enjoy stable fitness foundation. Encouraging words, advise, or a simple workout buddy creates an environment that becomes exciting to be a part of, it is no longer a dreaded chore. 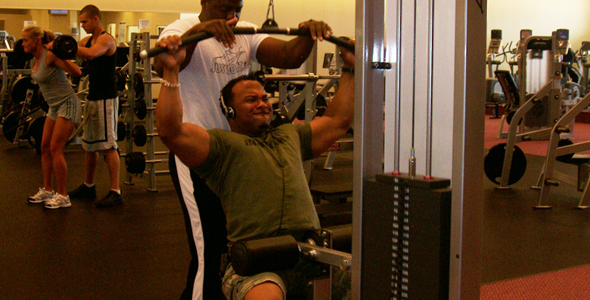 With small group training Saint Fitness can successfully train 3 to 4 individuals at one time. Saint Fitness will modify a training program that will fit each individual current fitness level, while receiving, praise and encouragement from everyone in the group. If you struggle with motivation having someone cheer you on can make the difference taking the next step to challenging yourself to another level. Every person has different physical limitations. Whether you are new to the gym environment or the gym is your favorite past time you will be challenged with attentive guidance to safely obtain your ultimate fitness goals. With your Saint Fitness Family by your side, you will embark on a new lifestyle full of strength, determination, and pride. Have you ever tried the latest diet craze and seen results just to see the pounds come back over time?? Weight Management is a vital part of weight loss. This is one of the hardest steps to follow in your weight loss journey. Once you realize that it is not a diet, but a lifestyle change, it isbecomes easier to manage. Proper weight management takesdedication, planning and prepping. Every one of us has different genetics and looking for different results. SAINT FITNESS can teach you what your body needsand why it needs it. SAINT FITNESS will provide you with a weight management meal plan that will satisfy your hunger and overall be essential for goals, as well as, making yourself accountable for what you eat. Research shows that maintaining proper nutrition meal plan that you will increase your energy; increase your immune system, while lowering your chances of having diabetes and high blood pressure. Saint Fitness can train an individual that is recovering from and injury or accident with light rehab. Slowly regaining strength in an injured muscle can mean the difference from living uncomfortable to having freedom to live your life to the fullest. When damage is done to a muscle there is only so much that can be done through doctors and medicine. 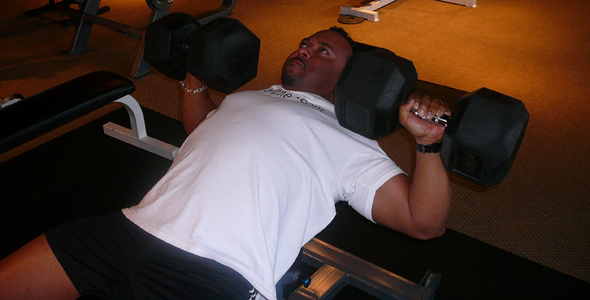 Saint Fitness is extremely knowledgeable in how to target and regain strength and mobility into the affected area. Your health is Saint Fitness’s highest priority. Saint Fitness has been able to provide one on one rehab to clients of all ages that have incurred all types of injuries. An injury can have a setback on even the strongest individuals. Without proper rehab the muscle will become dormant causing numerous other effects on the body. By enrolling in light rehab with Saint Fitness you will be back to a lifestyle you had before the injury happened.